Last time when both teams face each other, Thunders won the match by 15 runs with DLS method to take part as the game was affected by the rain. After putting a total of 181 on board by the Sydney Thunders, the rain came and the target was revised to 90 runs in 8 overs. And Melbourne Stars could only manage to make only 74 runs. The Stars will be looking take revenge of their loss in this match at Carrara Oval, Queensland on 5th January. Melbourne Stars are coming off the victory against Melbourne Renegades where they chased 148 comfortably. Their punt to move Marcus Stoinis to top of the order has worked wonders for them as he scored an unbeaten 78 runs and took 2 crucial wickets with the ball. Their bowling looks in great shape with Adam Zampa who have been supported by Dwayne Bravo and Stoinis. But the real problem for the team is Sandeep Lamichhane who will miss out due to BPL duties. Liam Bowe and Liam Plunkett replace Sandeep Lamichhane and Jonathan Merlo in the 13 men squad. 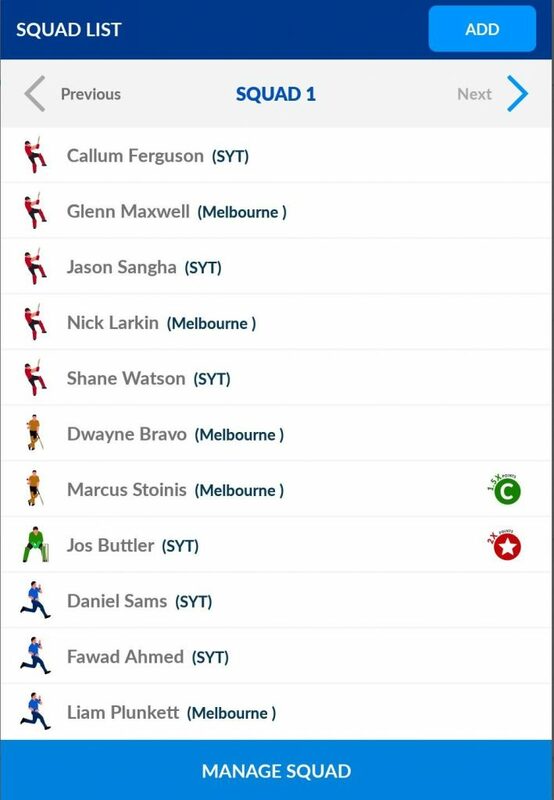 Key Players To Watch Out For Marcus Stoinis, Dwayne Bravo, Glenn Maxwell. Sydney Thunder had a thrilling contest in the previous match as they won it by 1 run against Perth Scorcher. Ashton Turner was likely to take the game from them but Daniel Sams’s calm nerve in the penultimate overtook the team to victory. Jos Buttler scored run a ball 50, Ferguson scored a quick 42 of 30 balls and was declared man of the match. Fawad Ahmed took two wickets who had been supported by Cook who just gave 13 runs in his 4 over and manages to take 1 wicket in the last match. Jay Lenton replaces Arjun Nair in 13 men squad. Key Players To Watch Out For Daniel Sams, Shane Watson, Fawad Ahmed. Melbourne Stars: Ben Dunk, Nick Larkin, Marcus Stoinis, Glenn Maxwell [C], Seb Gotch [Wk], Dwayne Bravo, Evan Gulbis, Liam Bowe, Liam Plunkett, Adam Zampa, Scott Boland. Sydney Thunders: Jos Buttler [Wk], Shane Watson [C], Callum Ferguson, Joe Root, Jason Sangha, Daniel Sams, Chris Green, Sam Rainbird, Jono Cook, Fawad Ahmed, Gurinder Sandhu. 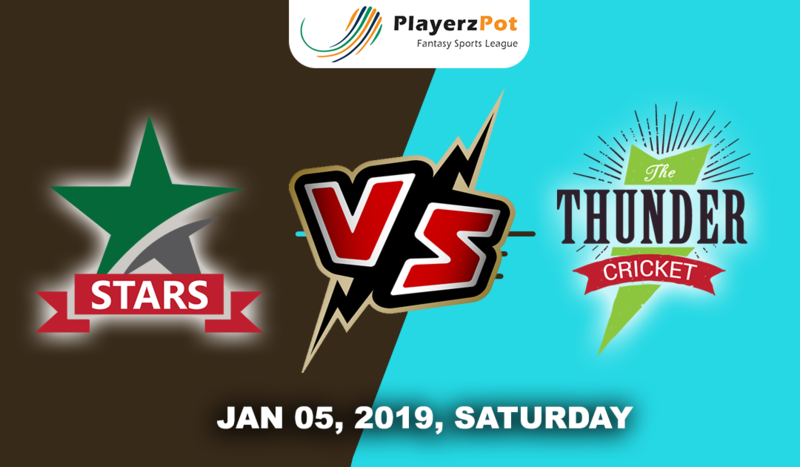 Melbourne Stars could seal this match as they have very handy all-rounder who could turn the match anytime in their favor.